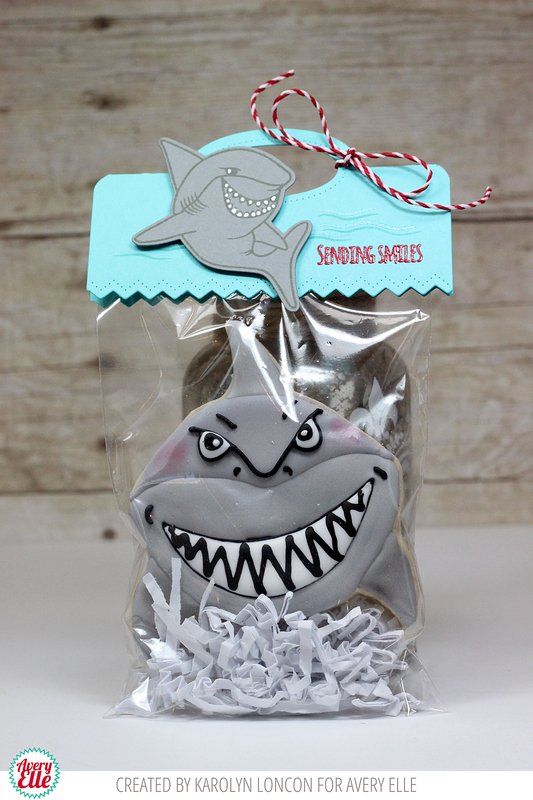 We have the cutest projects on the blog today. Karolyn and Katie hit it out of the park!! 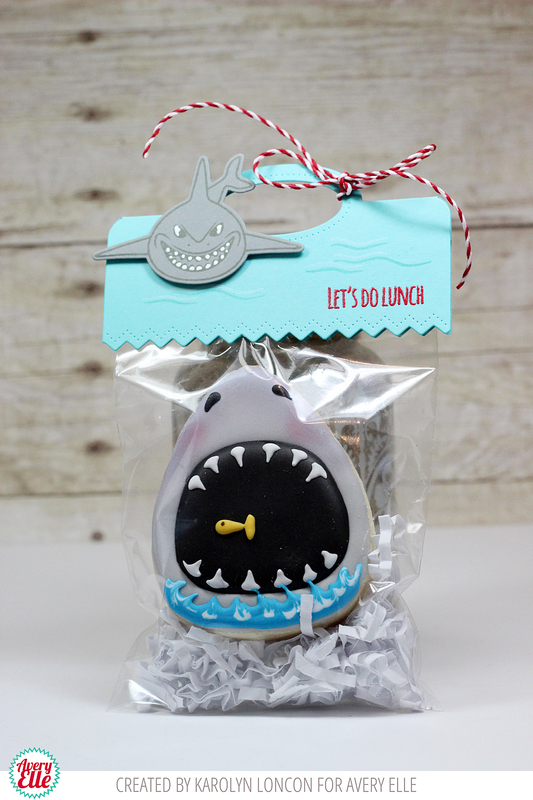 These cookie treat bags by Karolyn are ridiculously cute! 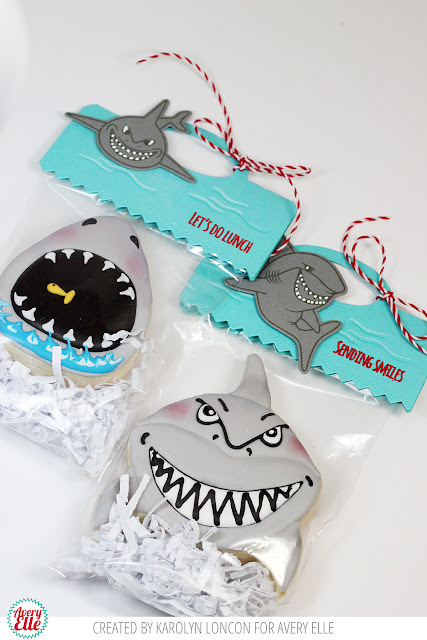 I don't know about anyone else but I am feeling the need to figure out an occasion to give out favors like this! Maybe a summer swim party?! Does it get any better?! Katie's card for today is so lovely. I love the way the flowers look draped over the rectangular die cut and you can never go wrong with grey and white striped paper!! The whole card is just perfectly pretty! Thanks Karolyn and Katie for the amazing inspiration! I am SO lucky to have you on the team. Thank YOU for stopping by to take a peek. I truly appreciate you taking time out of your day to stop by. Have a wonderful weekend! Elena and Heather have some stinking cute projects for us today. Take a peek! 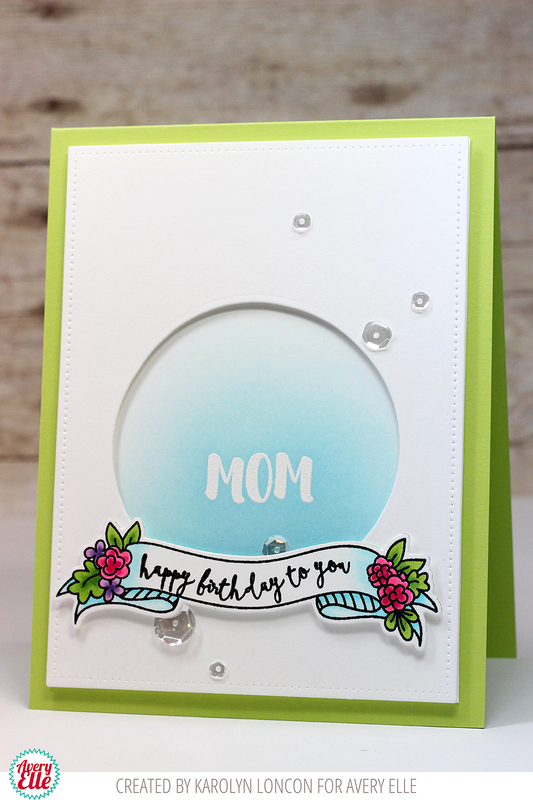 Elena created a custom sentiment using our Elle's Alphas clear stamps on this first card. I love how cute that stork looks in front of the negative die cut clouds. The blue, black, red and white color scheme is perfect for the french stork! 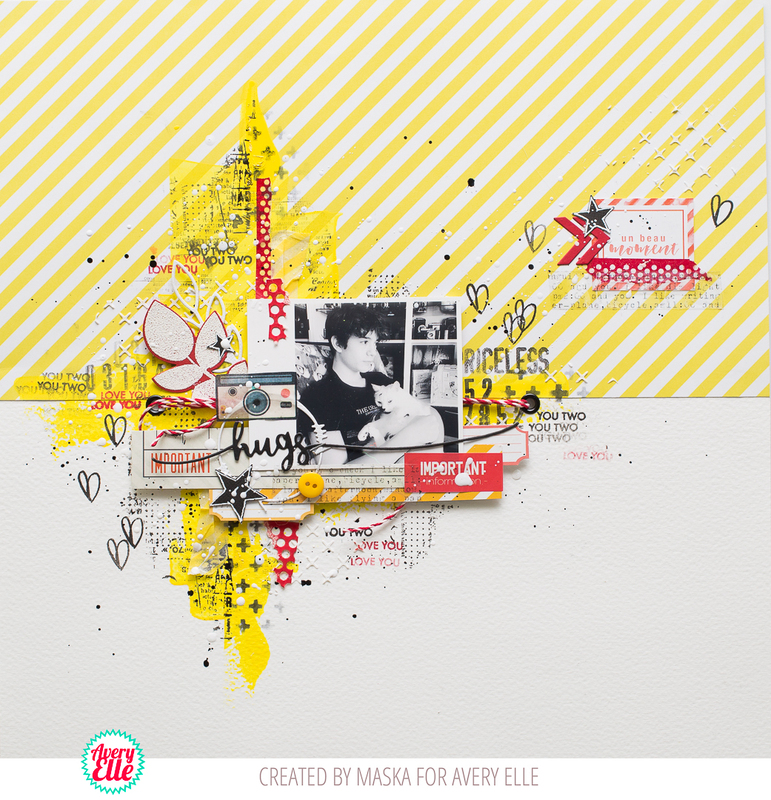 Heather created this next bright and fun card. I love how there are stars everywhere! They coordinate perfectly with the bunny and hat image. Thanks Heather and Elena for sharing with us today. You are awesome! Thank YOU for stopping by to take a peek. Have a great day! Amy and Maska are on the blog today. Check out their sweet projects below! I just love this cute cloud jumping unicorn by Amy. The cute star sprinkles coordinate with the rainbow image so well. I love how happy and cheerful this is! Maska created this next project for us. The flowers look so sweet hanging from the bottom of the photo. This is so bright and just perfect for spring! Thanks Amy and Maska for sharing with us today. I love your projects! Thank YOU for stopping by to take a peek. Have a great day! Hello! Melania is on the blog today with this gorgeous card! 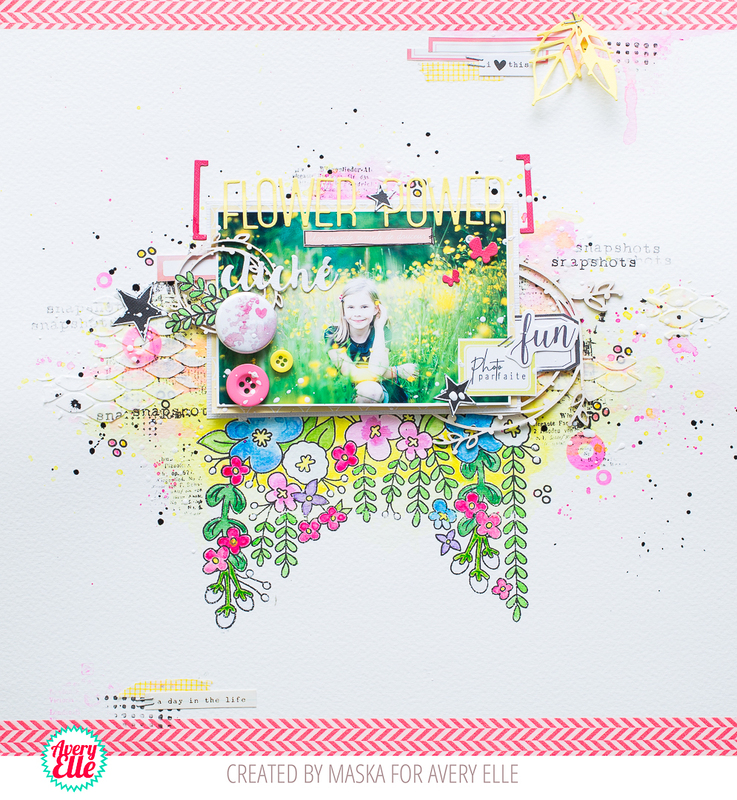 I love how she created a circle shaped frame out of the flower die cuts and added a shaker window inside. She created a beautiful focal point by shading the back of the shaker window a complimentary pink color. 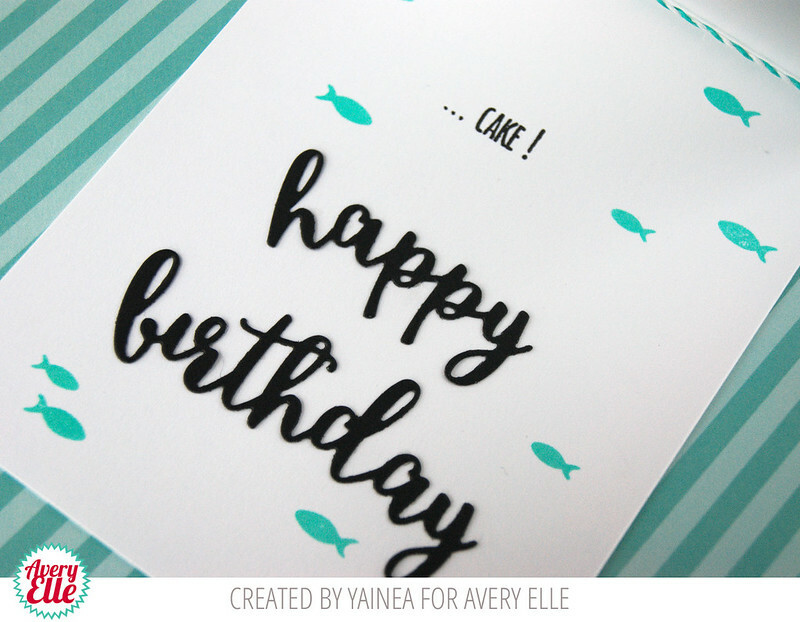 Our design team members, Caryn and Yainea, are on the blog today with two really cute cards. Caryn created this first card using some of our fun patterned papers and our Stoked stamps and dies. I love how she personalized the card by stamping the name of the recipient on the front! What a nice added touch. I love how Yainea perched the owl on the die cut hello from our Sentimental Die Set in this next card. It looks so cute across the top of the scalloped heart shaker window. The gradient of green color is lovely and anchors the sentiment and owl. This is fantastic! Happy Friday! 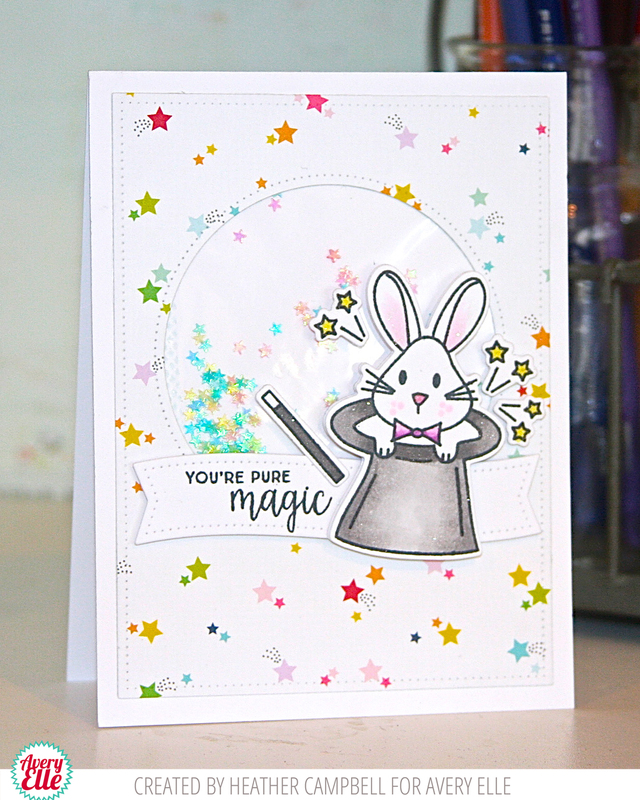 I have some fun cards by Karolyn and Katie to show you today. Let's get our weekend off to the right start and check them out! This first card by Karolyn is the cutest. I love how the stork looks flying over the city. What a cute and clever combination of sets! 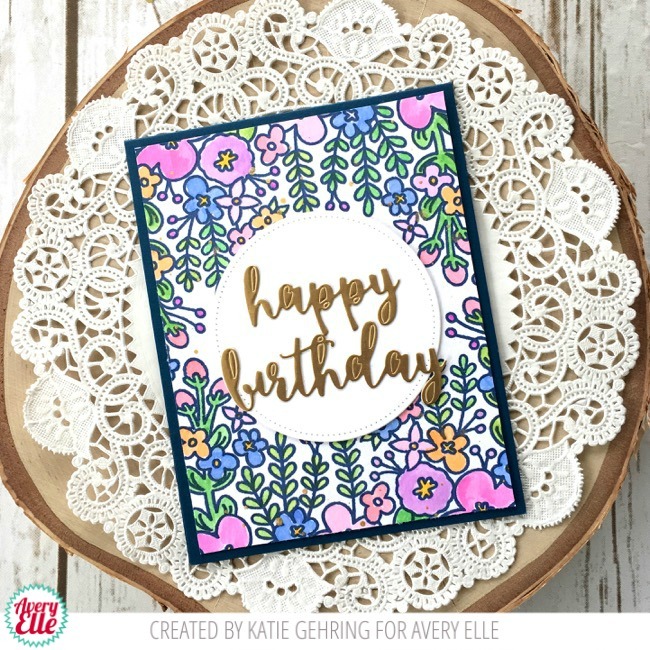 Katie created a floral background on her card by stamping our Canopy stamp set twice and framing the sentiment with a Double Pierced Circle die cut. I love how bright, bold and fun this is! Thanks so much Karolyn and Katie for sharing with us today. You are awesome! Thank YOU for stopping by to take a peek. Have a great weekend! I just love what Elena and Heather have for us on the blog today. Elena created this first card and it is just too cute. I love how she framed the cute Unicorn inside the burst die cut frame. The cloud border and sentiment banner finish off the card perfectly! Heather created these next two cards. I love how the whimsical hats look flying through the air in this first card. One trick is to stamp, color and then die cut the all of the images at one time. Place the die cuts on the card front and move them around until you get a look that you like. Take a quick picture with your phone or camera so that you remember where you had everything and then glue them down. I find that by using this process I am much happier with my cards. This one is terrific! Amy and Maska have some fabulous projects for us today. Just take a look! I love the wreath that Amy created in this first card. It looks so pretty surrounding the Mom sentiment. The purple twine bow finishes it off and is so cute! Maska created this bright and cheery page. I love how she stamped some of the sentiments repeatedly to frame the photograph. Hello! Melania is on the blog today with this cute interactive card. I love how that snowboarder is moving along the circle frame. It is just too cute. Be sure to check out Melania's blog for more details. We have teamed up with some of the best companies in the business to create a great giveaway for YOU over on Instagram!!! We are @averyellestamps - be sure to check it out!!! 14 sponsors have collaborated together to create an Instagram Mega Sponsor Giveaway! Combined total prize value is over $500! We will be giving away 14 prizes to 14 lucky winners! Contest goes until Monday, April 25th with winners announced on Monday, May 2. Hello! I am popping in quickly today to share two cards with you. Caryn and Yainea are on fire today. Check it out! Caryn created this first card. I love this sweet forest scene! Yainea created this next card. 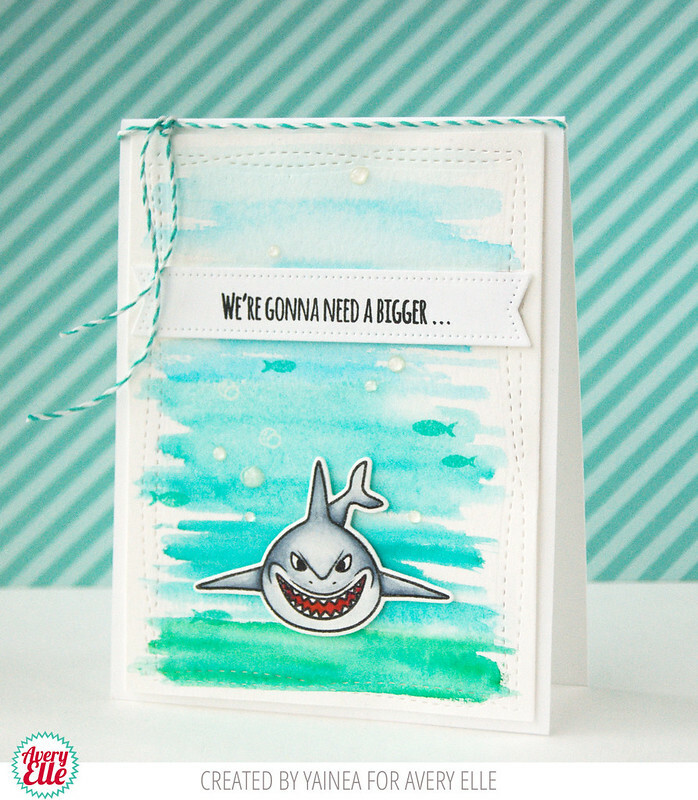 Her ombre water color background is so well done and highlights the shark image perfectly! Hello and Happy Friday! 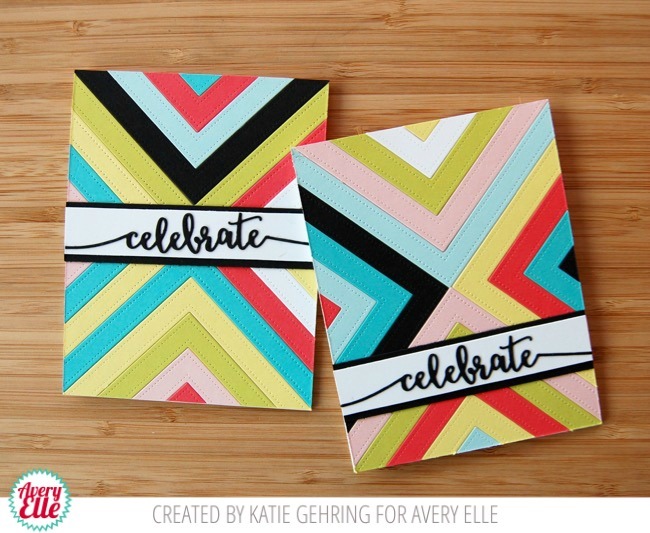 Karolyn and Katie have some wonderful projects on the blog today. Lucky us!! 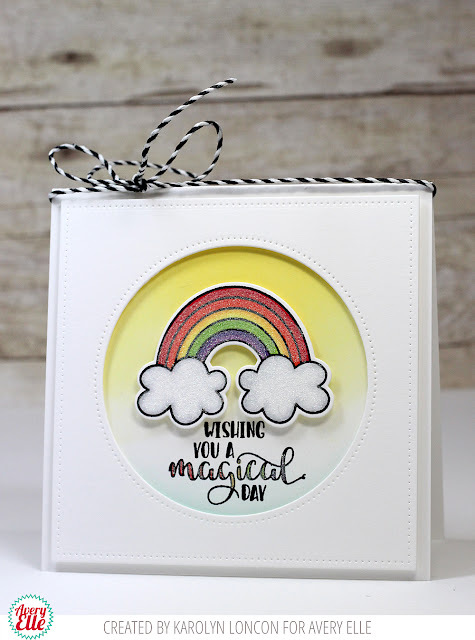 Karolyn created this first happy card. I love how the rainbow takes center stage inside the shaded circle. This is sure to make someone's day! Katie created these amazing graphic cards using just two dies and no stamping. She used our Double Pierced Square dies and left them tabbed together to create all sorts of gorgeous frames to nest together. Be sure to check out her blog for more details! This is right up my alley! I love it! Thanks Karolyn and Katie for inspiring me each and every week! I always look forward to seeing what you create! Thank YOU for stopping by to take a peek. Have a great weekend! Hello and Happy Thursday! Check out what we have for you today! Elena created this gorgeous card. The owl and birds look adorable sitting on that banner. This is so sweet. I just love it!! Thanks Elena for sharing with us today. Your cards are always a treat! Thank YOU for stopping by to take a peek. Have a great day! Amy and Maska have some fabulous projects for us today. Take a look! 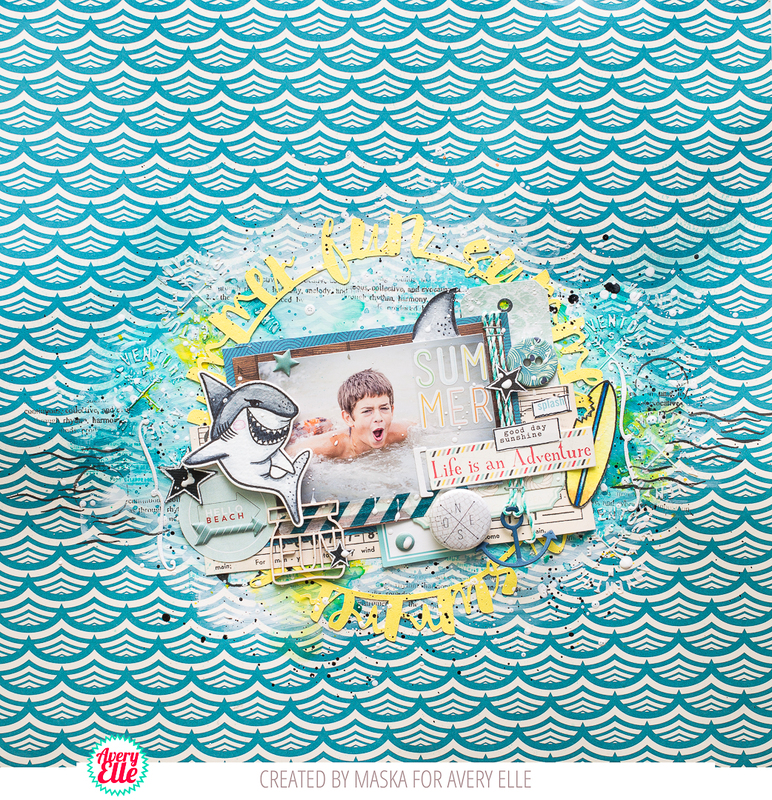 Maska created this fun summer layout. The shark and surfboard are the perfect accents for this swimming themed page! This is so happy and cheerful. I love it! Thanks Amy and Maska for sharing with us today. I just love what you come up with each week! Thank YOU for stopping by to take a peek. Have a great day! Happy Monday to you all! We have two cards from Caryn and Yainea today that are the cutest! Check them out! 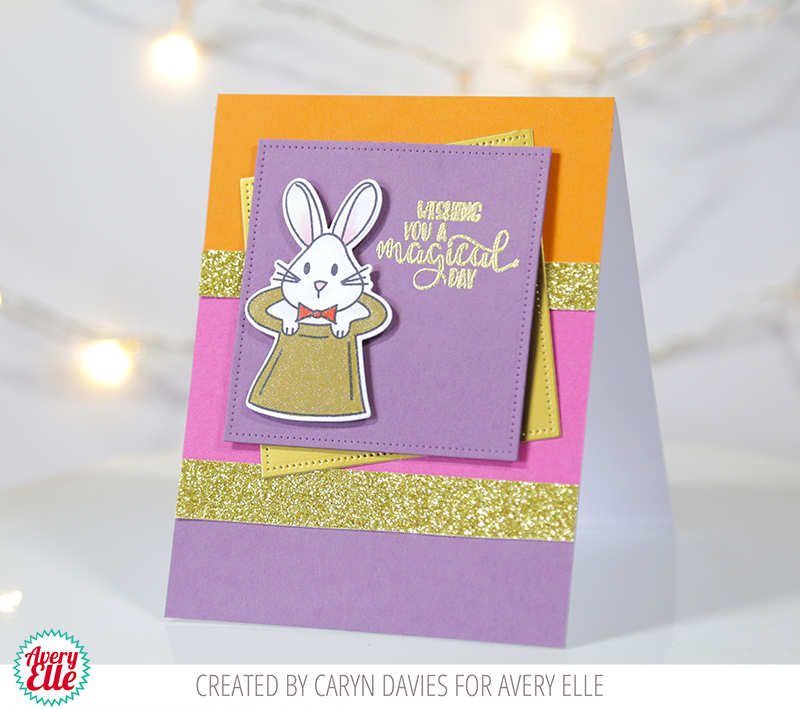 Caryn created this bright and cheery card. I love how the purple, pink, orange and touch of gold look together. That bunny looks so cute popping up out of that hat! 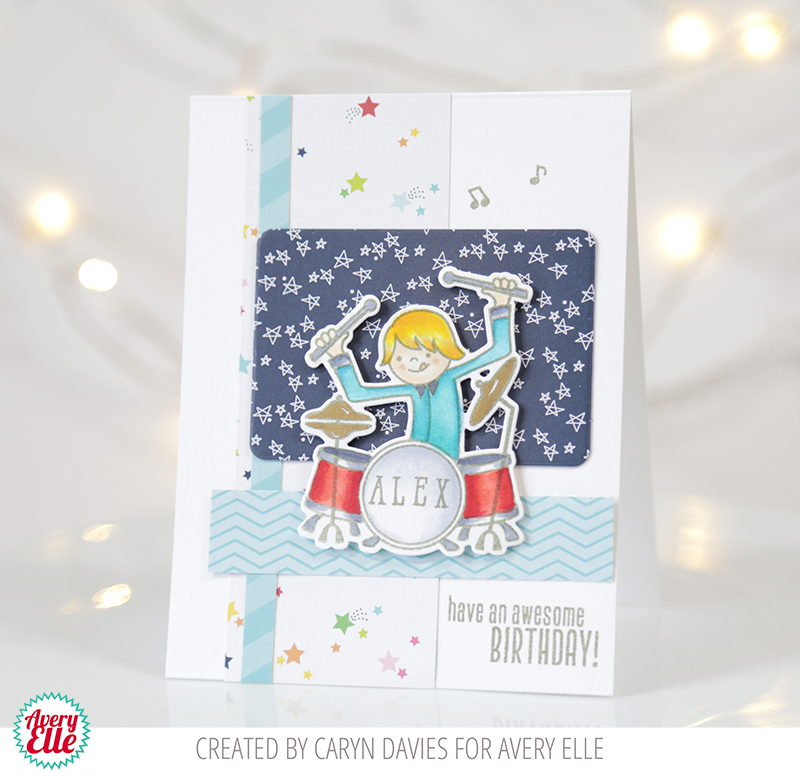 Caryn shows how you can use one great image to create a fabulous card. I love this next card by Yainea. 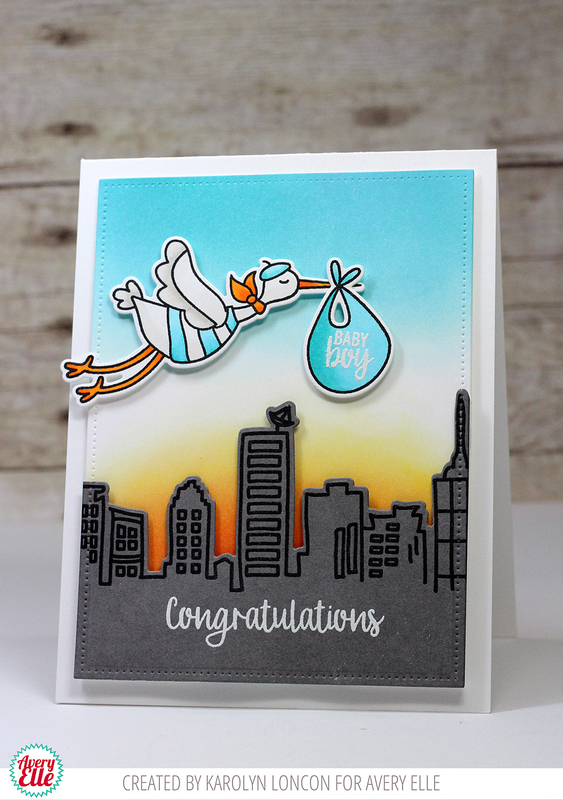 The stork looks adorable and is highlighted by the circle die cut frame. The silver clouds are a great added touch! Thanks Caryn and Yainea for sharing with us today. You guys are awesome! Thank YOU for stopping by to take a peek. Have a great day! Karolyn and Katie are on the blog today. Check out their cards! I love this birthday card by Karolyn. The shaded circle frame is a great way to highlight this personalized card. I love how the floral banner looks draped along the bottom. 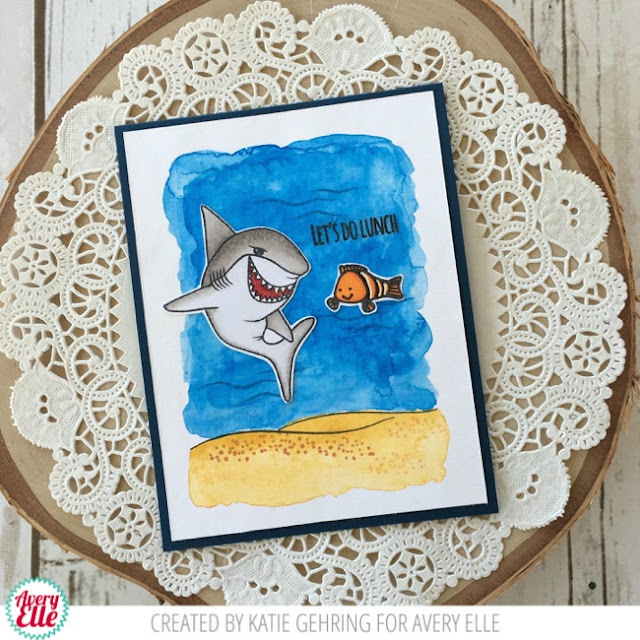 Katie created a pretty underwater watercolor background to highlight the images in this next card. I love how she used the sentiment along with the shark and the fish. It is so fun! Thanks Karolyn and Katie for the fabulous inspiration today. You guys rock! Thank YOU for stopping by to take a peek. Have a great day!